Liverpool centre-back Mamadou Sakho is reported to have agreed personal terms with Crystal Palace, though no deal is in place between the two clubs. Sakho spent the last four months of last season on loan at Selhurst Park, though he only made eight appearances as his campaign was cut short through injury. Having recovered from the knee problem that ended his season prematurely, Sakho still finds himself frozen out at Liverpool, despite being set to report back for pre-season on Wednesday. The France international was exiled by Jurgen Klopp following a series of transgressions last summer, and now the Reds are looking to seal a £30 million departure this summer. According to Goal’s Melissa Reddy, Sakho has already agreed a contract with Palace, despite the southeast London club insisting a deal would be difficult to negotiate. The Eagles have undergone a managerial change since the end of Sakho’s loan, with Sam Allardyce leaving and Frank de Boer appointed in his place. But Reddy attests that, while De Boer has been linked with his former Ajax pair Joel Veltman and Kenny Tete, Sakho is still Palace’s priority target at the back. She also claims that Liverpool will remain steadfast in their valuation of the 27-year-old, whose contract expires in 2020. 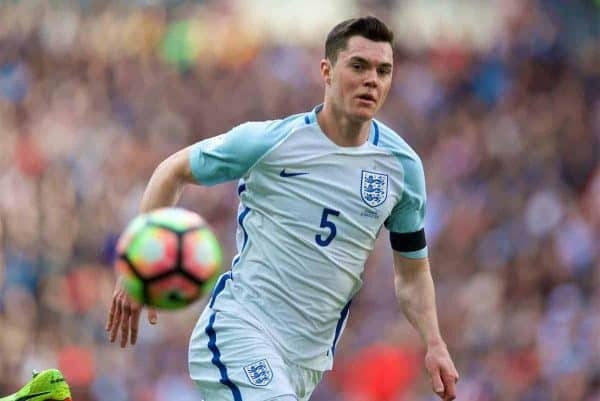 The Reds’ rationale was compounded as Michael Keane left Burnley for Everton on Monday night, with the Toffees agreeing a deal worth up to £30 million, despite the defender being in the last year of his contract. Given Sakho’s pedigree, and his impact in South Norwood last season—nominated for Palace’s Player of the Season award despite his limited appearances—he should command a similar fee. That he has already agreed terms with Palace is encouraging, too, as with Liverpool eager to sell, it is likely negotiations can be resolved this summer.